Dr. Broder has a unique combination of primary care experience and surgical training. Now he's has dedicated solely to medical aesthetics and cosmetic surgery. What prompted the move? That's interesting: Dr. Lawrence Broder is a decorated veteran. He is a former US Army Major and Flight Surgeon. You have extensive experience in combining primary care with medical esthetics. Can you tell us more? What are the challenges in combining both? I think that primary care doctors excel at customer service and bedside manner. You really learn to listen to the patient and look at them as a whole. This is in contrast to specialists who deal with a specific problem and consequently tend to hone in on that. The field of medical aesthetics is rapidly evolving and just concentrating on a wrinkle or a brown spot will not cut it anymore. It is critical to look at everything effecting that patient including their lifestyle, hormones, etc. This is where primary care physicians excel. When I opened my first office, the realities of a medical aesthetics practice became glaringly obvious. Build it and they won’t come! The challenges were enormous as there were many days with one to none patients! I had previously opened a series of ice cream shops when I was in the Army. So I had some business experience to fall on. Learning to market these services, to market to women and then to deliver good results with good customer service, was quite the challenge. It was important to have another source of income so financial pressure was lessened. It took perseverance and around the clock work to eventually overcome these obstacles. Do you find family medicine to be as emotionally fulfilling as cosmetic medicine? Family Medicine is very similar to cosmetic medicine. It’s all about customer service. Many of the patients you see as a PCP will get better on their own and your job is to not hurt them and reassure them. As a cosmetic physician, the patients are different and are usually looking for a correction of a specific problem. You have the solution to that problem. Just like a PCP, the cosmetic physician must make sure the patient gets the right treatment without harm and reassure them about the side effects and results. The cosmetic patient who has feels better about their appearance, usually is happier than the patient whose sore throat has resolved. The sore throat probably would have resolved on its own, but I directly helped the cosmetic patient. The other thing I enjoy about Cosmetic medicine over family medicine is the transparency. My prices, my results, my reviews and my background are all there for every patient to see. As a PCP, the patients did not know what the prices were (insurance), did not know if I had good outcomes with my patients nor knew who I was most of the time. I believe the whole US medical system is designed to extract as much money as possible from the insurance companies and Medicare/Medicaid by upcoding and unnecessary procedures. Cosmetic patients know what they are paying and will even bargain for better prices. Cosmetic physicians have no choice but to be honest about their prices and results, there is no running away from it. With five medical spas, hat is your work day like? We now have 5 offices in the Austin area. I work out of our new 3200 square foot AAAHC accredited office based surgery suite. I spend my day performing cosmetic surgery procedures like Smartlipo Liposuction, mini tummy tucks, fat transfer and gynecomastia surgery. This is what I enjoy most. The cosmetic surgery is critical to the financial health and reputation of the practice. My other offices are overseen by a Physician Assistant and myself and are staffed by RNs and aestheticians. They perform injectibles like Botox, Juvederm and Radiesse, Laser Hair Removal, IPL Photofacials, Chemical Peels, Sclerotherapy and more. The best part of the day is without a doubt when I am in surgery. When I enter the OR and realize the confidence, both for their welfare and financial, that the patient has placed in me, I am always honored. Once the procedure commences, I lose myself completely in the task and all the other worries of life and business are gone. I am then free to express the creativity that cosmetic surgery procedures demand. What are your future goals for your clinic? My work ethic for Beleza Medspa is that work never ends. I eat, sleep and drink Beleza Medspa. I believe you must be hyper focused on your business as no one will ever care about it as much as you do. As long as your website is up, you are open and there are things to do. Your competitors have hired guns working for them, either join them or get to work! I have always envisioned Beleza Medspa as more than myself. I have tried to develop the brand separately and have many goals for future expansion. You are using a variety of lasers. Are there any technologies that you would suggest that physicians stay away from, either for medical or business reasons? We use a wide variety of lasers. Any Medspa must offer laser hair removal and IPL photofacials as these are basics. I have had more trouble with brand new equipment than used. I would stay far away from brand new equipment leases and service contracts as these can sink you before you even get your business launched. That’s why the market is flooded with repossessed equipment. Vendors are salesman and not your friends. They will disappear once the sale is made and you will be fighting with the lease company. I have always looked at laser company vendors with suspicion. They are there to sell you and make a commission. They have no interest in your success or problems. Their financial projections are completely unrealistic and I made several mistakes with large leases that really hurt me. Do your research on proven technologies and companies and choose your equipment wisely. You do not need everything at once. A classic example of poor customer service is Cynosure. They sold their Smartlipo units at very low power initially. They then quickly upgraded the power as well as the wavelengths every year. Instead of assisting their current customers, all of whom spent 100K+ with them, they tried to extort outrageous upgrade fees to make the lasers usable. They lost me and many other doctors with this behavior. Having multiple offices is very complex. Besides the regulatory issues, trying to have consistent brand image and customer services is next to impossible. I have a manager that spends a great deal of time driving in the company vehicle (the Belezamobile) between these offices. Satellite offices also present complexities in inventory management and cash handling. As a result, I have experienced a great deal of theft at these offices. We are investing in cameras to try to combat this. With 18 years of experience in the field, what major change has impacted your business the most (technology, internet, social media)? The major change I have seen is the ascent of the Google search engine as the go to source of information. This has changed our lives as well as how we are marketed to. Many of the procedures we offer now are commodities, and patients have access to pricing and information more than ever before. 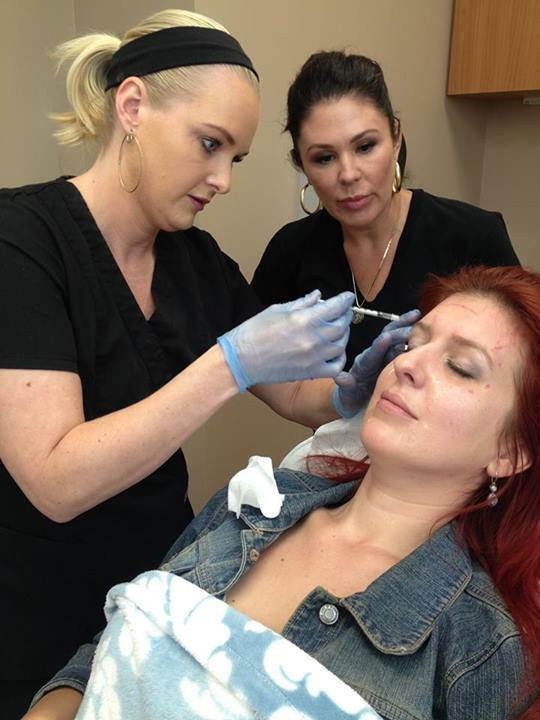 Understanding how they look for these procedures and what they are looking for, is the key to understanding cosmetic medicine. How do you market yourselves to patients and what do you do that your competitors aren't doing? What have you found that works? What hasn't? How successful are you marketing efforts? We started out offering low cost procedures to build a patient base. As I have tried to build the brand, we have raised our prices as patients come to Beleza Medspa specifically for their procedures. The vast majority of marketing must involve getting patients to your website. Doing this is very complex and there are many people and businesses who spend their entire careers trying to figure out how to do this. You can learn about this or hire it out to a company. Hiring it out has its own challenges as there is no standardization or ratings in the industry. You never know how much work they actually do for you or even if they know what they are doing. Print ads are for brand building and getting patients to your website. TV has experienced a renaissance and we are looking at it gain. Cosmetic medicine is exciting and evolving rapidly and with the retirement of the baby boomers, has a great future. However, I see the animosity from the Plastic Surgeons and Dermatologists towards other physicians to be hurting the field. I understand they did their residencies and they have every right to protect their specialties. I would do the same. However, most cosmetic physicians and surgeons are not trying to be dermatologists and plastic surgeons. We all went to medical school and have advanced medical training. We are all smart people with medical licenses who want to always do right by our patients. But I continually see these core physicians bad mouthing everyone else. Their national groups even propagate this garbage. This leads to a hostile atmosphere and is very confusing for patients. The truth is that there are many bad core and non-core physicians out there hurting patients. I have seen multiple plastic surgeon complications in my practice. We all make mistakes and have complications. I believe the procedures offered by many cosmetic physicians are superior as they do not have the arrogance and work harder to not have a complication. Cosmetic physicians are also more amenable to innovation and new procedures and offer patients better pricing. There is plenty of room in the market for us all to have success, but cutting down other physicians who you don’t know won’t help you. Would you utilize a professional that does nothing but cut down other professionals? Excluding cosmetic physicians from websites like Real Self, courses and organizations hurts the field of cosmetic medicine and surgery in general. I don’t know if this will ever change. 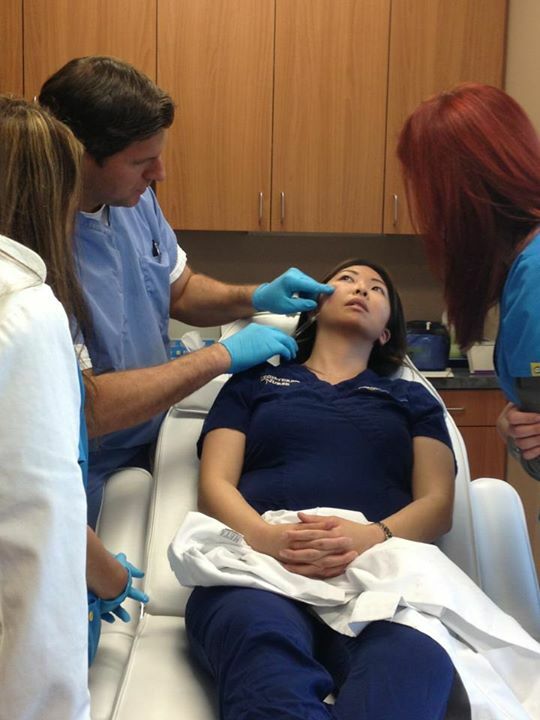 What lessons have you grasped about practicing cosmetic medicine? A cosmetic medical practice is a business even more than a regular medical practice. If you do not like business, do not go into cosmetic medicine. If you do not want to devote your life to your practice, do not go into cosmetic medicine. If you can get past those 2 requirements, cosmetic medicine is a lot of fun and can be very rewarding. What's the best advice you've ever received as an entrepreneur and as a physician? The best advice I received was during general surgery training. It was engrained into me that once I touched that patient, that patient was mine and it was my job to protect the patient at all costs. I have tried to carry on that philosophy to this day and work to care for my patients at all times. About: Dr. Lawrence Broder has 3 years training as a general surgeon and urologist. He has an additional 2 years of Family Medicine training as well as Board Certification in Family Medicine. He is originally from NYC (Queens) and went to college in upstate NY at Cornell. He did several years of research after college then went to medical school at St Louis University on an Army scholarship. He spent 7 years in the Army and that’s how he ended up in Texas at Ft Hood. He finished his Family Medicine training at Scott and White Hospital in Temple Texas then he moved down to the Austin TX area. He started Beleza Medspa in 2007 in Round Rock TX and we now have 5 offices in the Austin TX area.